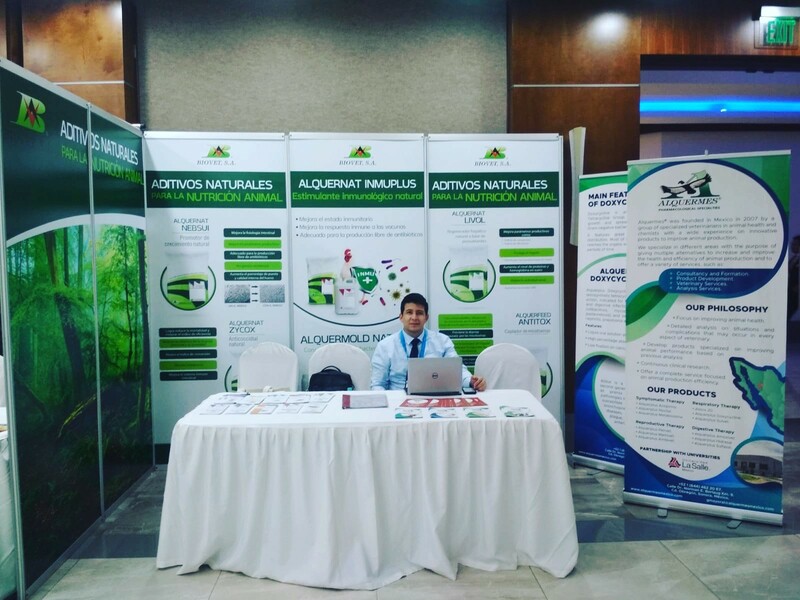 Alquermes Mexico participated with a stand at the XXV Central American and Caribbean Poultry Congress, which was held from August 21 to 23 in San Pedro Sula (Honduras). During the event, meetings were held with distributors from different countries, such as Honduras, the Dominican Republic, Guatemala, Panama and Costa Rica. The XXV Central American and Caribbean Poultry Congress has been “a showcase that Alquermes Mexico has made known, in the veterinary world we have much more to discover and learn. According to Mayoral, “extensive research is needed, such as the one that Alquermes is carrying out to discover new ways to improve animal welfare and animal production, since it is a very important area for society in both the health and economic aspects”. Alquermes México was established in Ciudad Obregón (Mexico), created by veterinarians specialized in the welfare of animals, with the main objective of using advanced pharmacological processes to achieve maximum efficiency in their products and achieve optimal animal health.